David McNamara, Ph.D. | Alexandra McNamara, M.Ed. I am a licensed clinical Psychologist, and, for the last twenty or so years, have been offering psychotherapy and evaluation for kids, teenagers, and their families. But, more importantly, I find the idea and practice of living together as a familyof whatever make up--to be one of the most challenging, fulfilling, fascinating, and inspiring aspects of life. I have come to understand that, despite whatever conflicts and pressures families face, they have a deep and abiding strength, joy, and unity; and that this sense of wholeness and power can be felt and used to maintain that strength in living together. 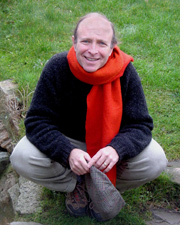 I began working with kids and families as part of the team that offered the first Family Workshops over twenty years ago as part of the educational work of the Findhorn Foundation, an intentional spiritual community in Scotland. Doing that work, I came to realize that I enjoyed and was good at it, and should probably seek some training in the field! So, along with forming our own family with Alexandra, I began graduate training in family psychology and therapy in the U.S. During my family therapy training, I realized that more focused training in working with child and adolescent psychotherapy was quite important to me, and I pursued more training in those skills. The combination of child and teen and family psychology and psychotherapy became the center of my professional life for close to twenty years. While my psychological professional training was very traditional, it always developed within the spiritual way of living and understanding that was embodied so powerfully at Findhorn. So, although I trained in psychotherapy and psychological evaluation in departments of Psychology and Psychiatry in medical schools in the San Francisco Bay area of the U.S., I continued to think and write about the spiritual or transpersonal lives of families. I wrote my doctoral dissertation on the scientific basis for a theory of family wholeness or unity. As part of this work, I put together a variety of activities to support families in understanding and experiencing this sense of family unity. Meanwhile, son Geoffrey, now age 22 and finishing University in the U.S., and daughter Erin, now 19 and living and working at Findhorn, along with Alexandra were teaching me all that I didnt know about fathering and the realities of family life. Over the years, Ive worked in settings as varied as psychiatric and medical hospitals, complementary medical clinics, and private practice consultation. I include a variety of methods in my work with kids and adults: Sandplay, a Jungian-based way of bringing into clarity the most meaningful and important parts of ones life; EMDR, a highly effective and brief, focused way of working with healing past traumas, play therapy with kids; and psychodynamic and family psychotherapy, helping people to look at and change the underlying patterns that drive their behavior. I have contributed a chapter on Family Therapy to the compilation volume Medical Marriage: Complementary Practice in Healthcare (Findhorn Press, 1995.) Along with refining, further developing, and continuing to offer the Creating Joyful Families workshop with Alexandra and other co-workers, she and I are currently living at Findhorn. I am working on the book that explains and develops the idea and practice of the transpersonal/spiritual life of families as well as doing some counseling for kids and families. 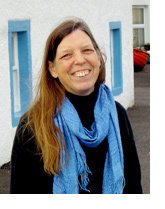 I am a teacher and educator of children and adults, currently working as a class teacher at the Moray Steiner School in Forres, Scotland and at the same time am deeply involved in reconceptualizing child development and education for the 21st century. With training as a musician and dancer, a B.A in Child Development and an M.Ed. in Waldorf education I bring the view of both an artist and a developmentalist to my observations of children. I strongly believe that children are not miniature adults, having different perceptions and modes of cognition and needs for protection, support, and clear loving boundaries, and as souls are worthy of our entire attention and respect. My life-long involvement with spirituality and the arts has also informed my approach to education and parenting as a spiritual path and creative endeavor in itself. I received a B.A in Child Development and Children's Theater in 1974 from Sarah Lawrence College and have been directly involved in the field of education from that time. I have spent many years researching child development and developmental and transpersonal approaches to education and have worked in a wide variety of school, community, and homeschooling settings over the past 30 years. I lived at the Findhorn Foundation, a spiritual and educational community, from 1976 until 1982 and co-founded the Children’s Program for both guest and community children, developing and leading programs and training staff. I helped pioneer the Findhorn Family Workshop and have worked with my husband David, offering this week-long program over the past 24 years. We returned to live in the United States and raised our own two children, both of whom had a combination of Waldorf education, homeschooling, and other alternative school education. During that time I developed curriculum for Waldorf-inspired homeschooling for individuals and groups and children with special learning issues. I also consulted with families in assessing their children's skills and needs and devising appropriate educational plans for them. When my own children were almost grown I completed Waldorf teacher training and state teacher training and earned an M.Ed. at Antioch New England Graduate School in 1999. I then taught as a Steiner class teacher in Colorado for several years before moving back to Findhorn. Over the years I have observed that many children born in the last decades do not fit the mold for traditional educational approaches. These children may display characteristics that could be referred to as either gifted or having special learning needs or both. They tend to have extreme sensitivity and social awareness as well as a strong individuality and sense of purpose, sometimes at odds with those around them. I have developed an understanding of the flexible approaches needed to meet the educational, parenting, and social needs of these children, whom some refer to as "Indigo children" I provide consultation with teachers and parents on the best ways to observe, assess, and craft strategies to meet the needs of children growing up today. I am passionate about the need to meet these bright souls with respect, love, clarity, and help them to find and follow their true paths in freedom.